Finding a new pet just got artificially intelligent with PetMatch’s image algorithm robots, who are capable of matching one feline to another based on a mobile picture. The app is a proof of concept from Superfish, a startup that’s running on $20 million in funding. 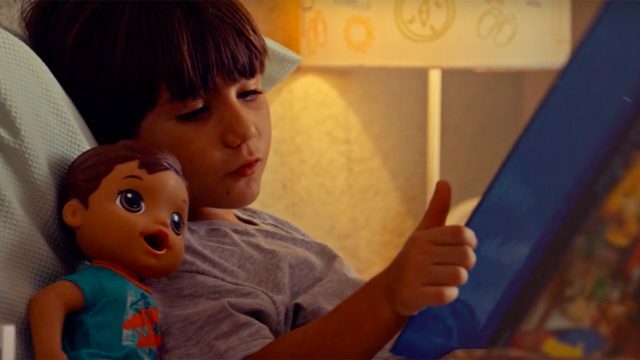 While Superfish has been profitable and functional as a visual search software since 2006, it’s now branching into standalone apps to show how image searches can be helpful and cute, simultaneously. Current technologies employ categorization, object or scene recognition, or near-duplicate image matching techniques in order to perform a visual search. While these approaches can be effective in narrow use cases or for detecting exact image matches, they cannot detect and rank visually similar images. ShapeRank allows users to go beyond exact image matching and identify images that are visually similar and sort them by relevance in their web searches. The closer to “near identical” these images are, the higher they rank in search priority, and the faster people will find what they are seeking online. 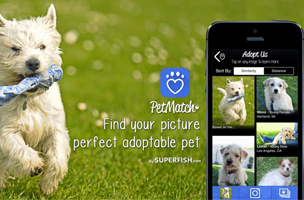 Unlike Superfish’s Windowshopper app, PetMatch offers a more benign and benevolent alternative for your wallet. Just upload an image of your pet, or even someone else’s pet and let the app match you up with a nearby puppy or kitten. The app acts as an intelligent learning machine, so theoretically, it might improve your chances over time. No word yet on whether Superfish will employ the same visual mechanics to find humans romantic dates, but we think there’s potential there for those not keen on doing the legwork on OKCupid.